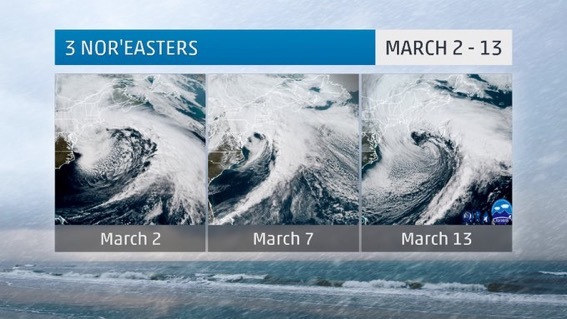 Who wasn’t ogling over the amazing satellite images of the three nor’easters that bombed out over the east coast in the last 2 weeks?! The details we could see were amazing, and it’s all thanks to the next generation satellite GOES-16 (GOES East, previously known as GOES-R). As of this writing, the latest of the next generation satellite has made it to geostationary orbit. 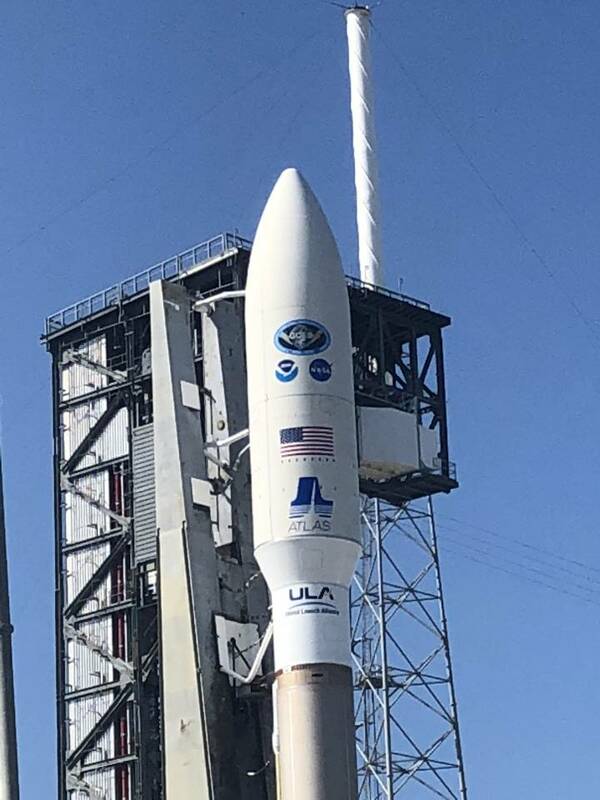 GOES-S is now GOES-17, and by the end of 2018 will be operation in the position for GOES West. GOES-S is basically a twin of GOES-R, but will be positioned to see the west. 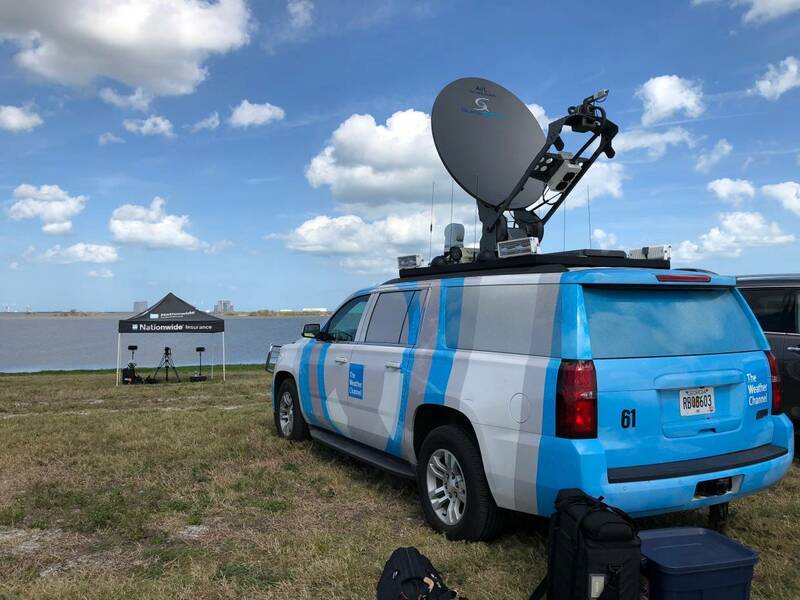 It will have 3x the amount of details, 4x the spatial resolution, and be 5x faster than the satellite positioned there before. It’s like finally everyone will have a smart phone, or a giant flat screen 4K TV. This is a big deal for observing the weather that affects the western hemisphere, and GOES-S (now GOES-17 and soon to be named GOES West) will play an important role is helping to detect storms in their infancy in the Pacific, before they make it to the U.S. 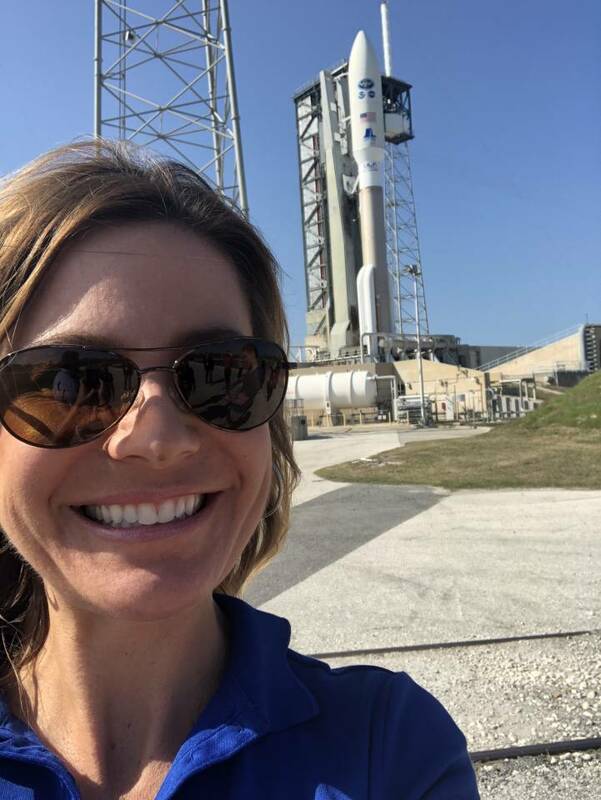 The atmosphere at Kennedy Space Center is exhilarating every day, and it was especially special to share it with industry colleagues there to send GOES-S to space. I can’t help it, but I took a zillion pictures of the VAB (Vehicle Assembly Building). Every day…in every light… selfies, group pictures, etc. 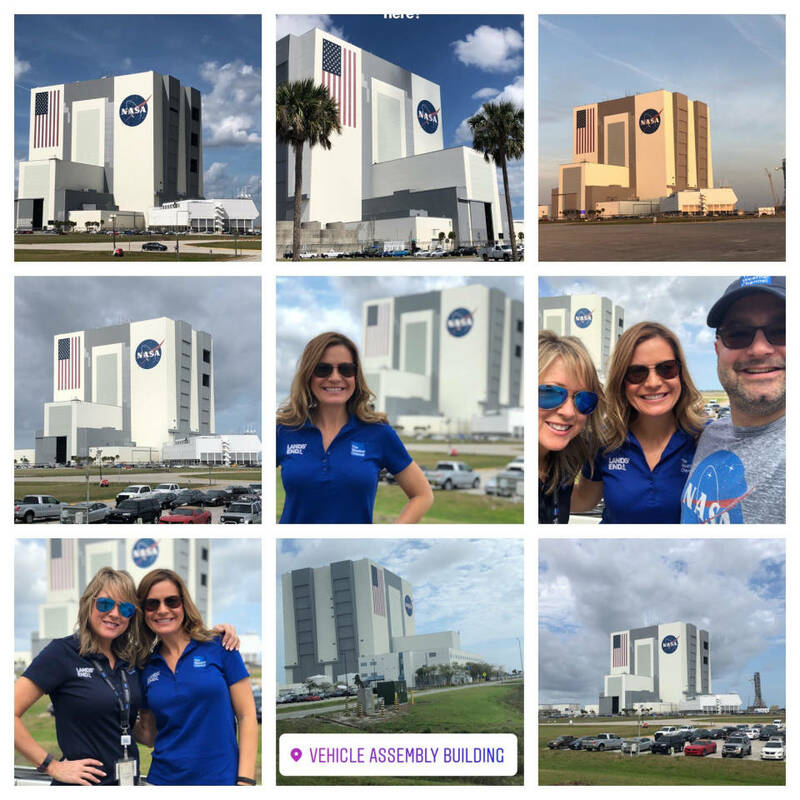 Very inspiring to think about the innovation (and the shuttles that were assembled there! ), and the future in space travel that is being developed and constructed now. 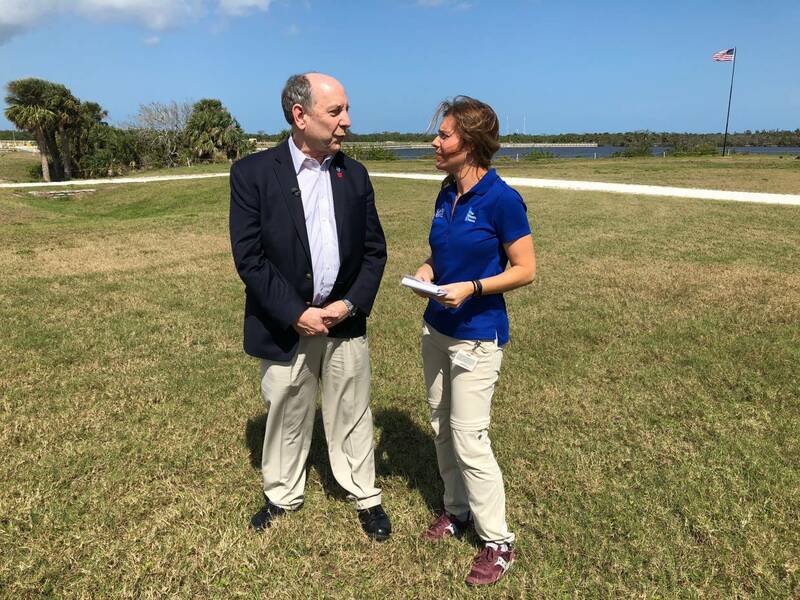 Before the launch, I chatted with several program leaders from the NWS and NOAA about how it’s been going with GOES-R. A common theme was that GOES-R has exceeded expectations, and provided life-saving information to emergency managers. One big example was Hurricane Harvey. 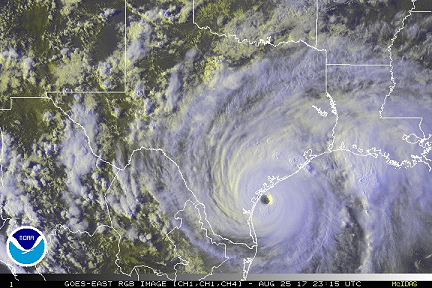 The forecasts at the NWS in Corpus Christi used GOES-16 used the 1 minute mesoscale updates from over Harvey when it was making landfall as a rapidly intensifying CAT 4 hurricane to give emergency managers 45 minutes during the calm eye to evacuate several hundred people before the eastern eyewall made landfall. Minutes mattered, and GOES-16 gave them the precision they needed. Another example came in March 2017, before GOES-16 was operational. But the preliminary images showed wildfires breaking out in TX before emergency officials received 911 calls, and the NOAA alert allowed them to start evacuated people from the at risk areas. Likely saving lives. Another example shows the economic impact too. There was a bank of low clouds and fog rolling into the the San Francisco Bay Area. This of course meant fly delays. 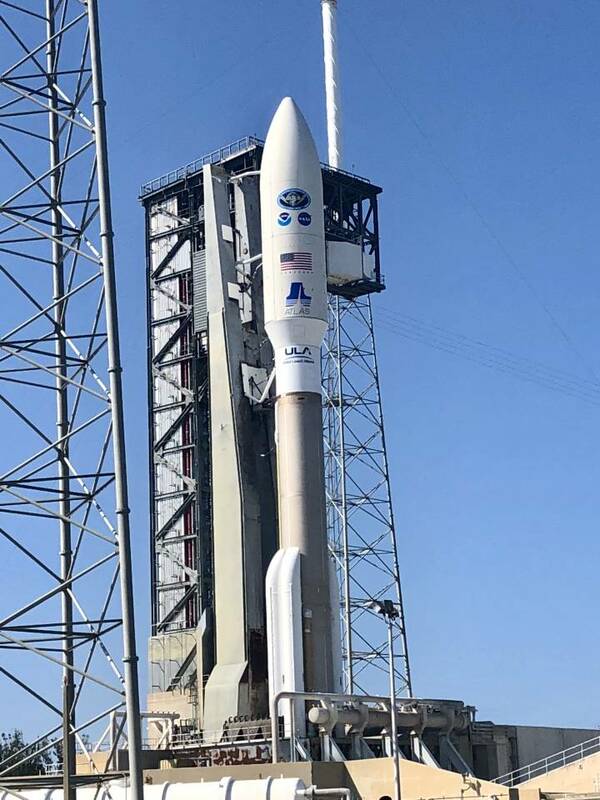 But based on observations from GOES-16, forecasters could see the marine layer eroding quickly and the ground delay program was lifted early, and more than 30 flights were able to land on time. This translated into a savings of $100,000. 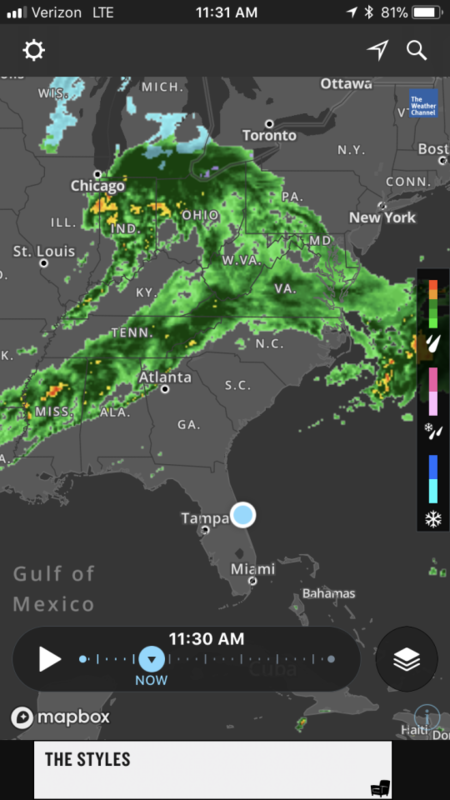 And that was from GOES-16. GOES-17 will see that kind of thing even better for the west coast. Of course I had to take a selfie! Winter Storm Riley was underway in the northeast when GOES-S was set to launch. The tail end of the front attached to Riley was sliding into the South, but did not get close enough to effect the weather for launch day. It was a perfect afternoon with no weather constraints! 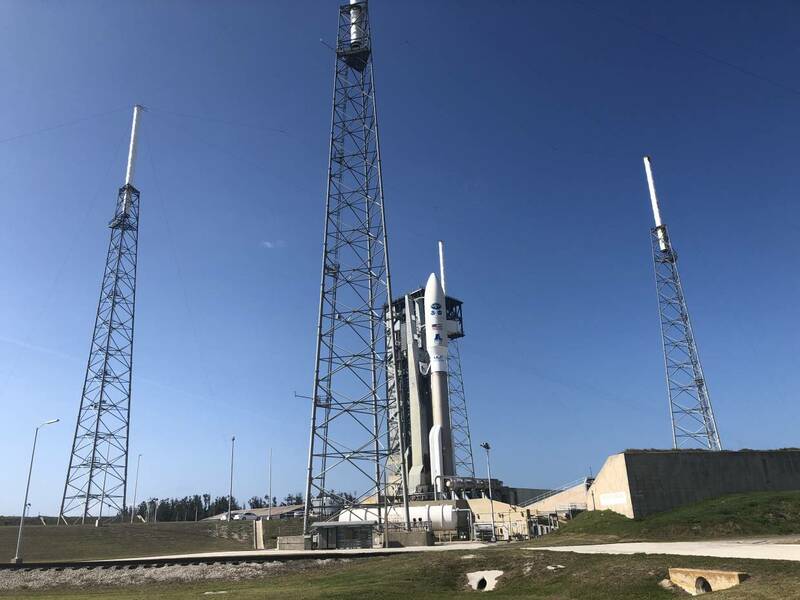 GOES-S launched at 5:02 PM EST from Space Launch Complex 41 at Cape Canaveral Air Force Station in Florida. Producer Trish Ragsdale caught the thunderous moment on video. We were about 2 1/2 miles away on the causeway across the Banana River from the launchpad. Lift-off happened fast. It was overwhelming to watch the rocket blast off, and especially to share the moment with the team that was behind its design and launch. 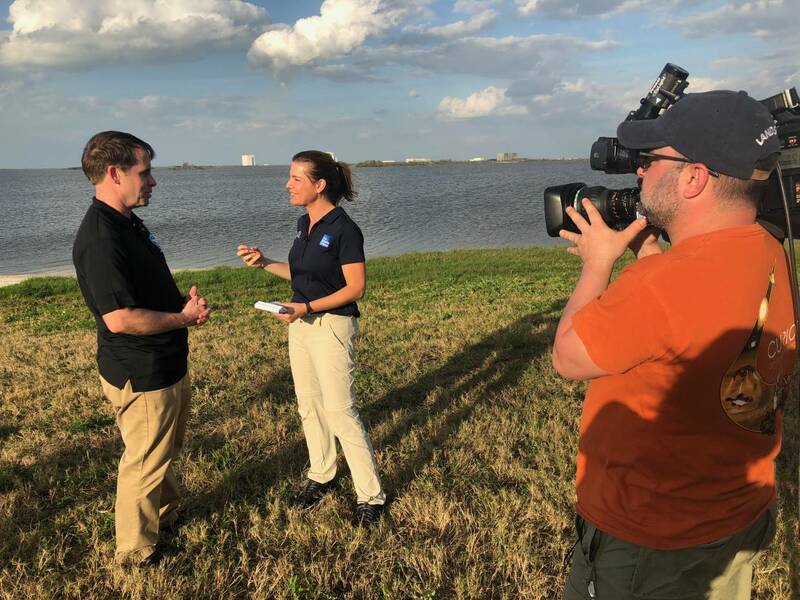 GOES-R/S Program Manager Tim Walsh provided commentary before and after the launch. 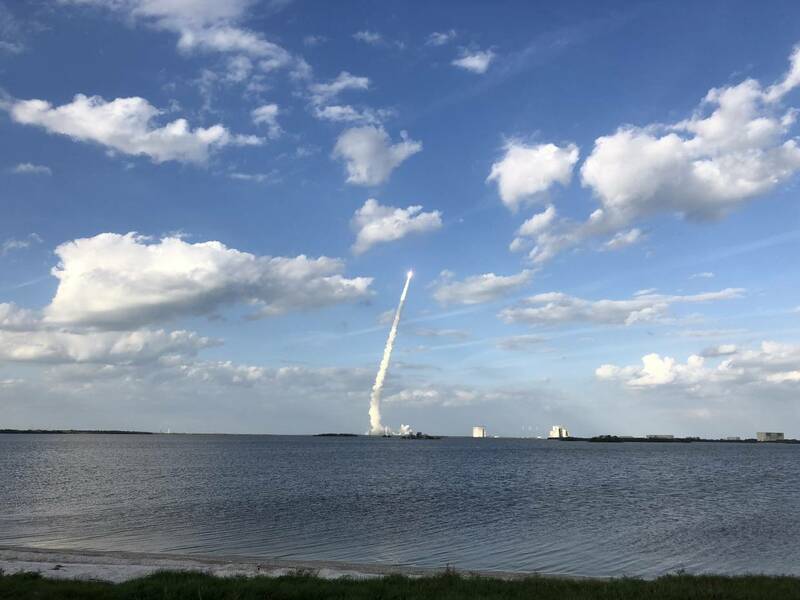 The sound I will never forget – when the voice of NASA launch control finishes the countdown and says GO GOES-S! And guess what… it’s twin, GOES-16 (GOES East/GOES-R), caught the whole thing!